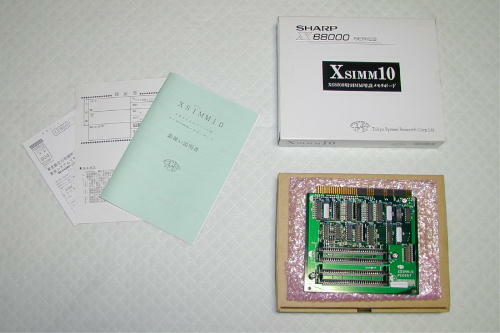 XSIMM10 (Ten X-Sim) was manufactured and sold from 1994 by Systems Research Ltd., Tokyo. 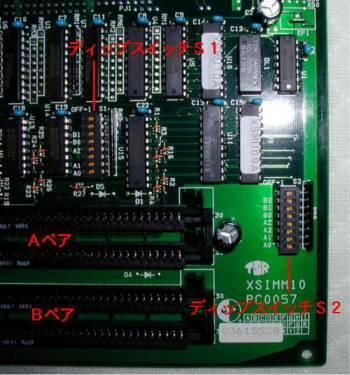 It is a memory expansion board for the X68000 series. 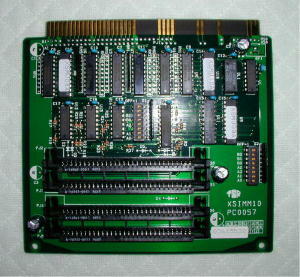 This product uses commercially available SIMM modules (not included) mounted on board, and is compatible with X68000 I/O expansion slots. If the size is exceeded, the adjacent slot is unusable. 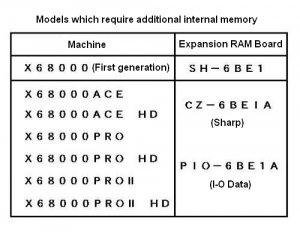 In addition, when used with the following models, you must have a 1MB of internal memory expansion board in advance and a total of 2MB internal memory to add more RAM. 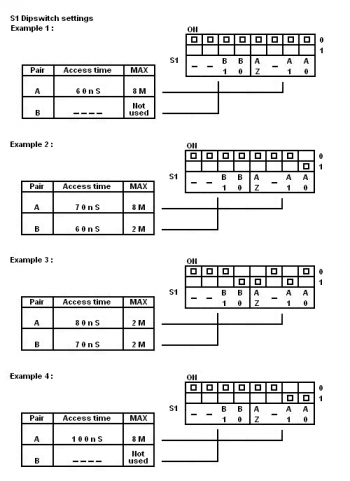 XSIMM10 SIMM modules must have the same access time and memory capacity for each pair. The RAM can be expanded up to 10MB maximum. SIMM modules with 4MB or 1MB capacity can be used for the first pair. However, do not use 4MB SIMM modules for the second pair. 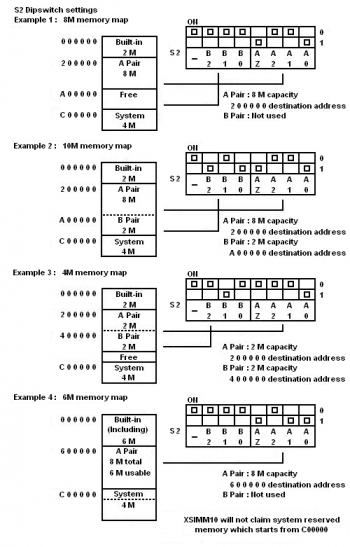 A Pair (Ａペア): Both SIMM modules can be 4MB or 1MB (You must specify the capacity of installed SIMM modules). 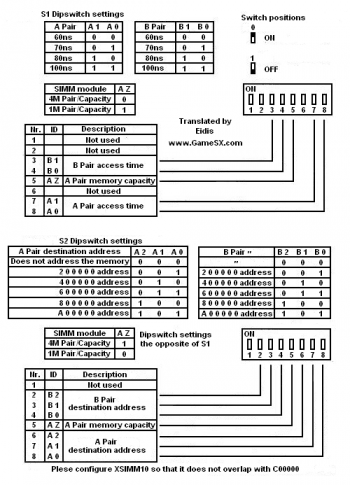 Dipswitch settings were taken from XSIMM10 instruction manual, copyright by Systems Research Ltd., Tokyo.